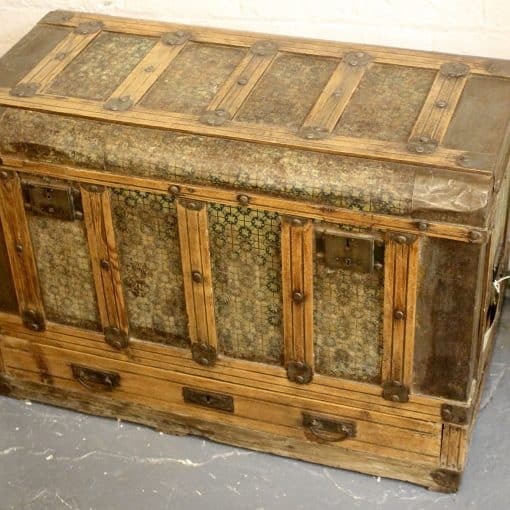 A really lovely and interesting Pine & Tinplate Trunk. 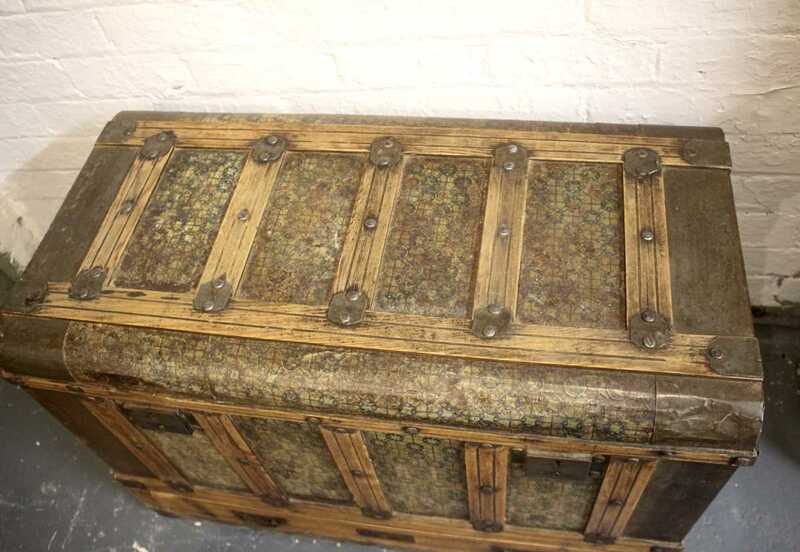 Having a pine carcass with the most beautiful forest green tinplate finish. 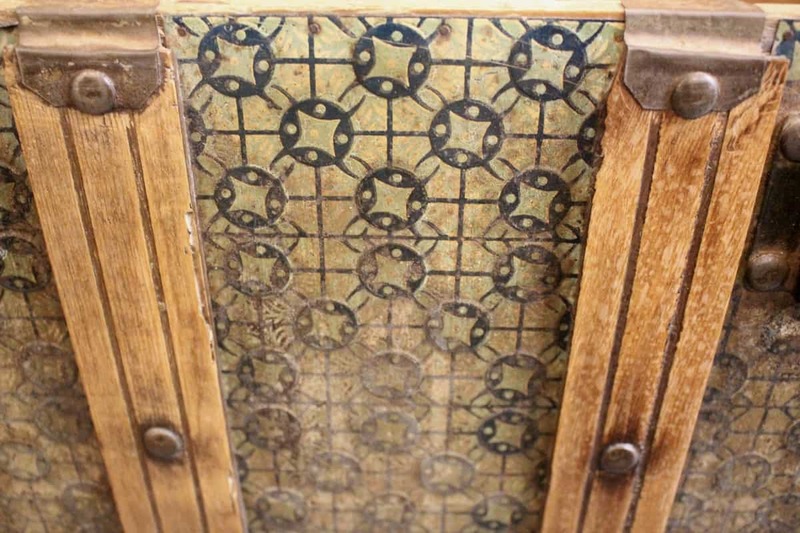 The lid with fluted pine frame and metal stud work above the paneled sides with interspersed tinplate and old locks. 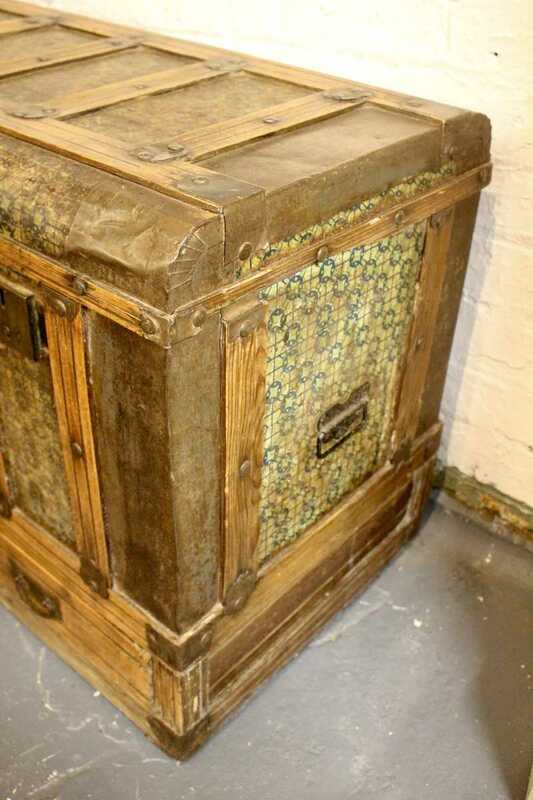 The bottom is fitted with a single drawer which is rather unusual. Carrying handles to sides and remnants of old paper internally. A really pretty and functional antique. 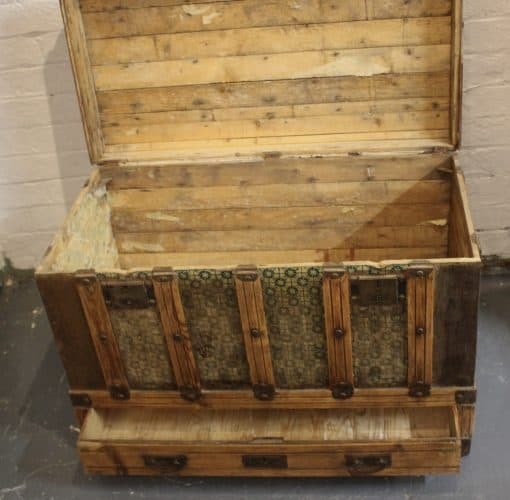 Would make a great coffee or center table or just a fantastic trunk! 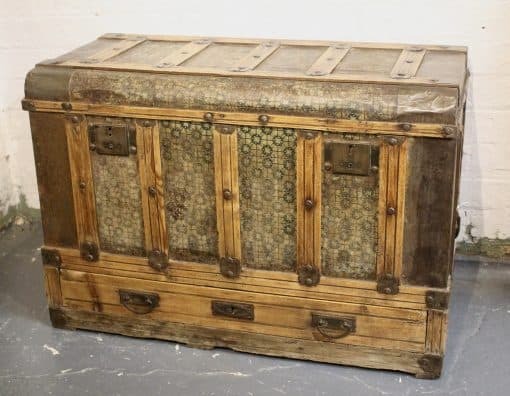 Lots of old ware and tear as you would expect for an old traveling steamer trunk but still a beautiful working piece. Dimensions: 91cm wide x 63cm high x 48cm deep.